Online ordering menu for HALLIGAN’S PUBLIC HOUSE. 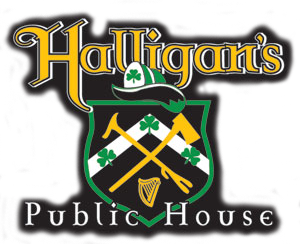 Halligan’s Public House, located in the Patriot Square Shopping Center in Stony Point, offers delicious food, as well as fantastic entertainment and atmosphere. Halligan’s has been offering a comprehensive menu of traditional pub foods, as well as Irish favorites since 2005. Our menu features soups, salads, sandwiches, burgers and more! Halligan's offers free online ordering for pickup orders only. Delivery is not currently available. We accept all major credit and debit cards for your convenience. Thank you.